We’ll be playing tunes from the U.S.: St. Louis Blues, Jolie Blonde (Cajun), Rabbit Where’s Your Mammy (Appalachian). See you there! 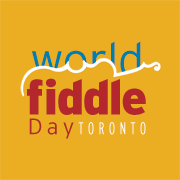 In addition to our series of 10 community workshops at Long&McQuade, World Fiddle Day Toronto takes on Outreach projects with strings groups in public schools, Suzuki Programs and community music schools. This year we worked with Tafelmusik on their Canada 150 Outreach project with several groups of students from Etobicoke School of the Arts and the Miles Nadar Suzuki program. Anne Lederman saw each group of students twice in order to coach them on 5 tunes (which we will be playing at the Jam on World Fiddle Day). They worked also with Chris Verrette of Tafelmusik and their teachers to put together a nice 20 minute program which they all played after the regular Tafelmusik concert on Sunday, Feb. 26 in Trinity-St. Paul’s church. They sounded absolutely wonderful and some of them will, we hope, join us on World Fiddle Day. Compliments to Pam Bettger (ESA) and Gretchen Paxton and Rebecca Sancton-Ashworth (MNjcc Suzuki) for their dedication and ongoing commitment to broadening their students’ horizons. Hi Blair, yes, we have the tunes posted. Under the Members Music room. If you’re out of town, you’ll be able to sign up as a member on Eventbrite. It’s already online and we’ll be posting the link on the website asap.